Andrea Florendo is the Child Care Director at Twice As Nice. She graduated in the year 2000 with a degree in Early Childhood Education and Special Education. She has been employed with Twice As Nice Preschool since March, 2010. When she is not at work, she enjoys spending time with her husband Phil and three children, Dean, Maya and Caleb. If she is not at work, she can be found cheering her children on at their sports events. 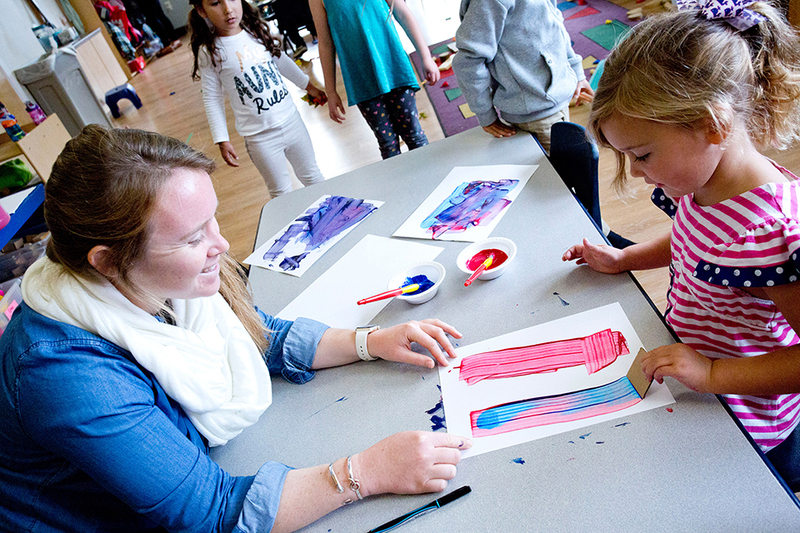 Becky Peckham is a Teacher in the full day program at Twice As Nice. She has been teaching at Twice As Nice since 2012. She began her career working as a teacher’s assistant for two years before becoming a lead teacher. Becky graduated from the University of RI in 2008 with a degree in Art. She also completed Early Childhood Education courses at CCRI. In her free time, she enjoys spending time and camping with her family. Jackie Spurlock is a Teacher in the full day program at Twice As Nice. She has been working at Twice As Nice for three years. She graduated from Greensboro College in 2012 with a degree in Exercise and Sports Science. She later pursued her love for children by attending CCRI and completed 12 Early Childhood credits in 2015-2016. She loves spending time outdoors with her fiancé Tayler and her dog Gus. When she is not at work, she can be found hiking, running, or at the beach! Angela Gerring is the Education Coordinator and Half Day Preschool Teacher at Twice as Nice Preschool. She has a Masters Degree in Education with a focus on Early Childhood from Ball State University. As a military spouse, she and her three children have lived all over the United States and also have lived overseas in Japan and Singapore. She enjoys spending her free time outdoors and reading books. Klein Borbe is a Teacher’s Assistant at Twice as Nice Preschool. She was born and raised in Manila, Philippines. She graduated from one of top Universities in the Philippines and the oldest University in Asia, the University of Santo Tomas in 2018 with a degree in Secondary Education in English. Klein pursued the field of teaching because she loves working with children. She loves to travel and spend time with her love ones and friends during holidays and weekends. Ashley Barker is a Teacher in our full day program at Twice As Nice. She grew up in Middletown, RI and graduated from Middletown High School in 2014. She has known since childhood that she wanted to be a teacher. Her passion for teaching children shows when she is with them. She has been working at Twice As Nice for since 2016, starting out as a teacher’s assistant. She is currently working on completing her Early Childhood and Special Education degree while teaching in our full day three year old program. Kaitlin McKenna is a Teacher in our full day program at Twice As Nice. She was born and raised in Middletown and graduated from Middletown High School in 2017. Kaitlin is an amazing artist and loves to bring her skills into the classroom with the children. Kaitlin began her employment as a camp counselor and has recently began working year round while attending CCRI. In her free time, Kaitlin loves to spend time with her family and friends. Tayler Stevens is a Teacher in our full day program at Twice As Nice. She joined our team in September, 2018. She graduated from Middletown High School in 2017. Tayler has always loved the idea of working in the medical field and with children. She recently completed her EMT certification. In her free time, Tayler loves to work out and spend time with her family and cats! The staff to child ratio in our preschool is 1:9. We accept children ages 3-5 years old. All children must be fully toilet trained. Per our DCYF license, all staff are required to complete and pass CANTS background check, Fingerprints, DHS Health and Safety training, submit immunization records, and submit proof of their annual flu vaccination. In addition, all staff must complete a minimum of 20 hours of approved professional development. 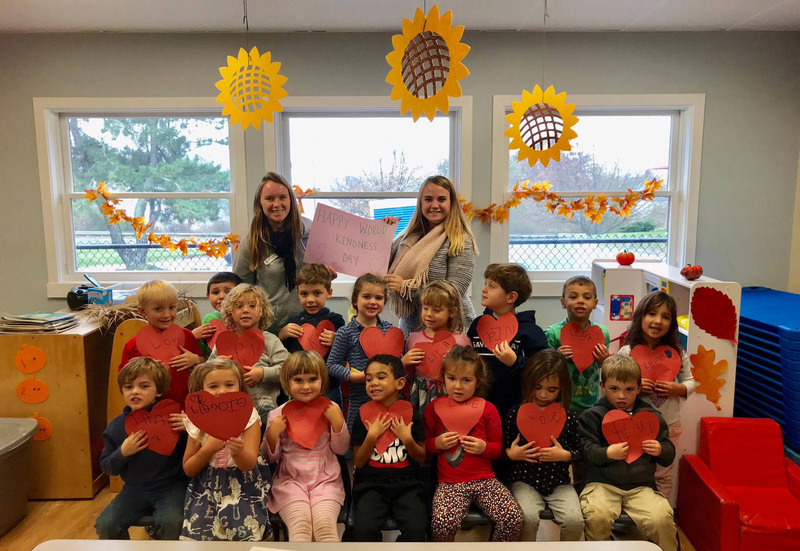 The Newport County YMCA and Twice As Nice Preschool require all staff to be CPR/First Aid Certified, complete OSHA training, Praesidium Child Abuse Training, and monthly staff meetings.